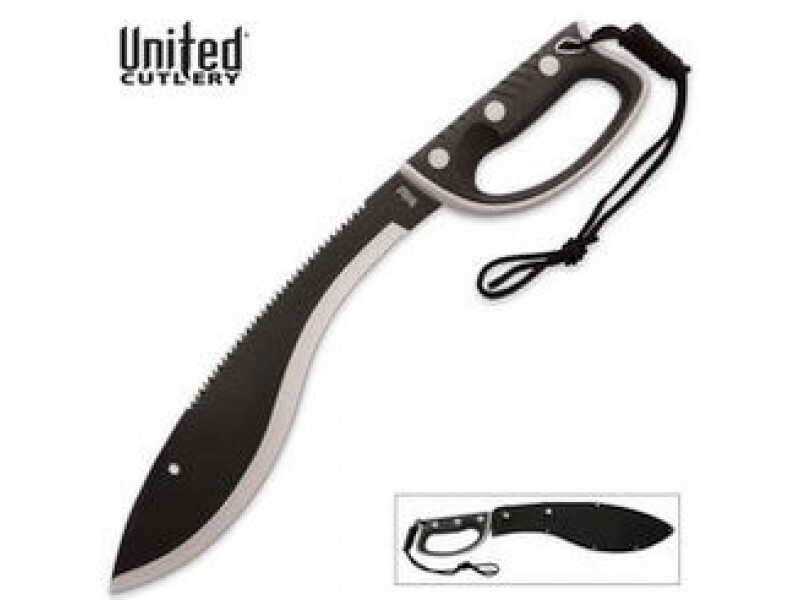 Buy United Colombian Sawback Kukri with sheath , from Budk - RBC VISA for $28.99 only in My e-commerce. When you are trying to survive, there's no time for playing around! 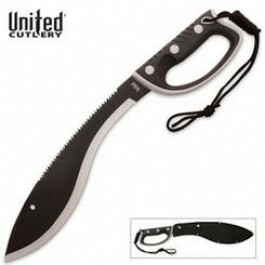 You need a blade that won’t let you down and that is this 21” sawback, complete with a hand-guard. For hacking through the toughest trees and vines, you can't mess around with cheap imitations. This United Cutlery Survival kukri offers a thick, full-tang, all-black 14 ½ “beast of a blade that not only looks mean, but it can take a beating and not lose its edge. The injection-molded black and gray handle feels soft in your hand, but won't slip when you get sweaty. A looped cord wrist lanyard ensures it won't stray far. Includes molded black nylon, belt loop sheath with snap button closures.